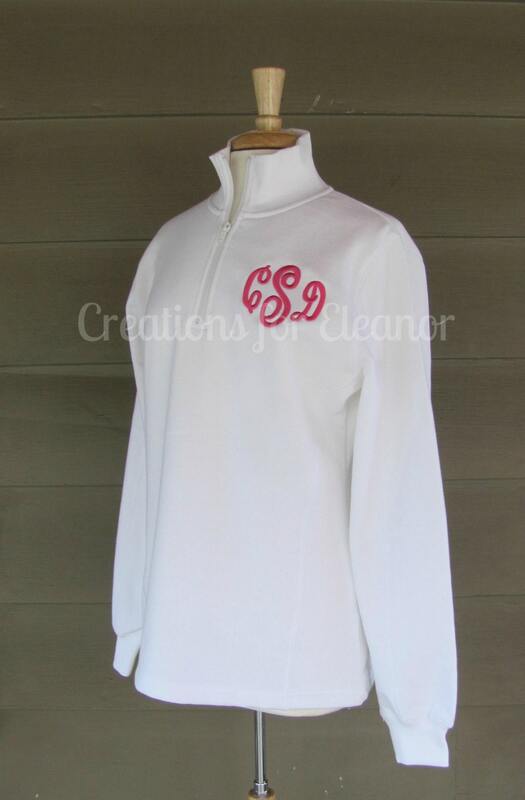 This stylish 1/4 zip sweatshirt has a fitted feminine fit. It is made from 9-ounce, 65/35 ring spun combed cotton/poly, has a rib knit collar and cuffs, twill-taped neck, set in sleeves, dyed to match zipper and open hem. 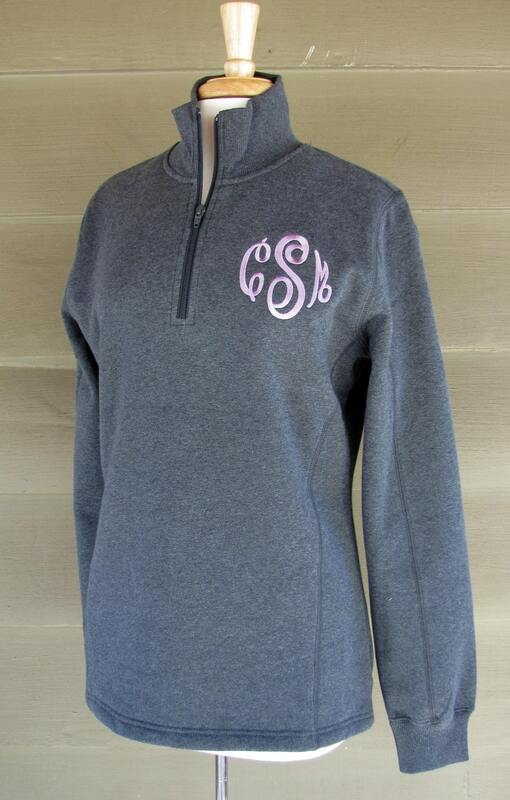 The left chest monogram gives this sweatshirt a classic update. 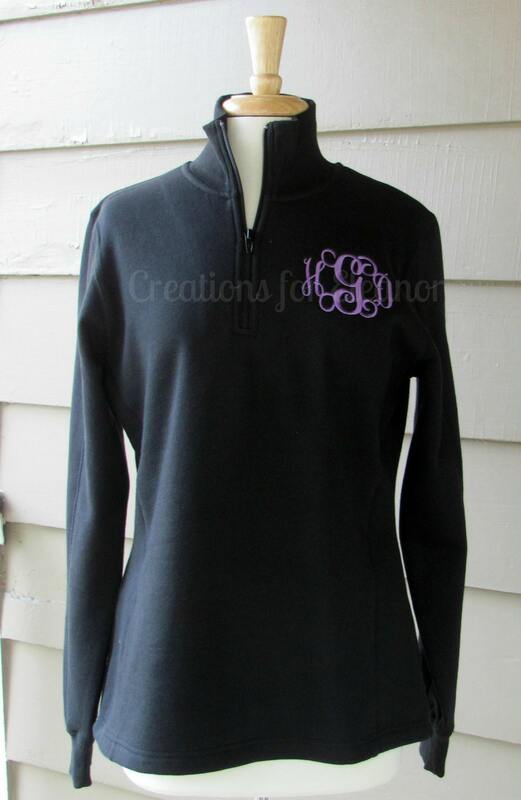 Sweatshirt colors are listed, pale pink is available but not shown. Font choices are listed, pendant is shown on sweatshirt. 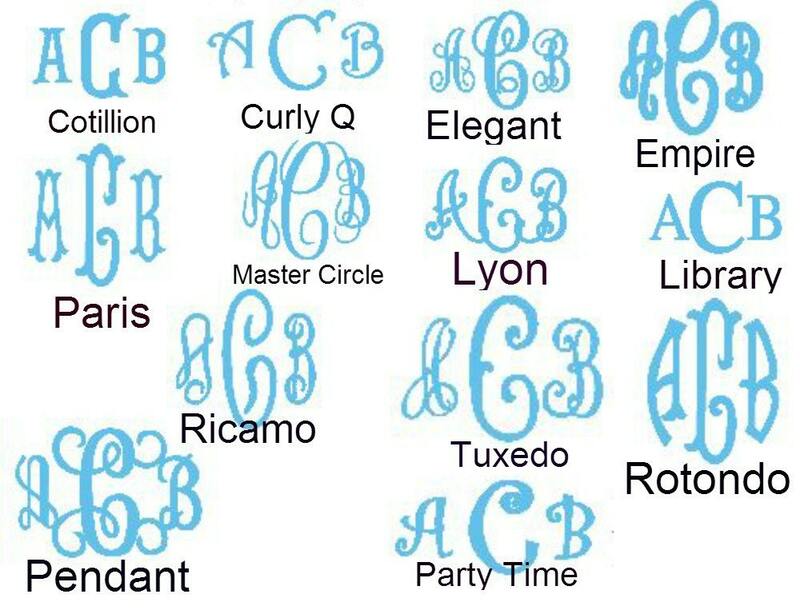 Monogram can be one or three letters, please include your font choice and also list the letters in order first LAST middle Sweatshirt will be done in order letters are submitted. Font colors are light yellow, bright yellow, orange, red, light pink, medium pink, hot pink, purple, light blue, royal blue, navy, lime green, kelly green, charcoal, black, white, Texas orange, Carolina blue, chocolate brown, off white and many others.